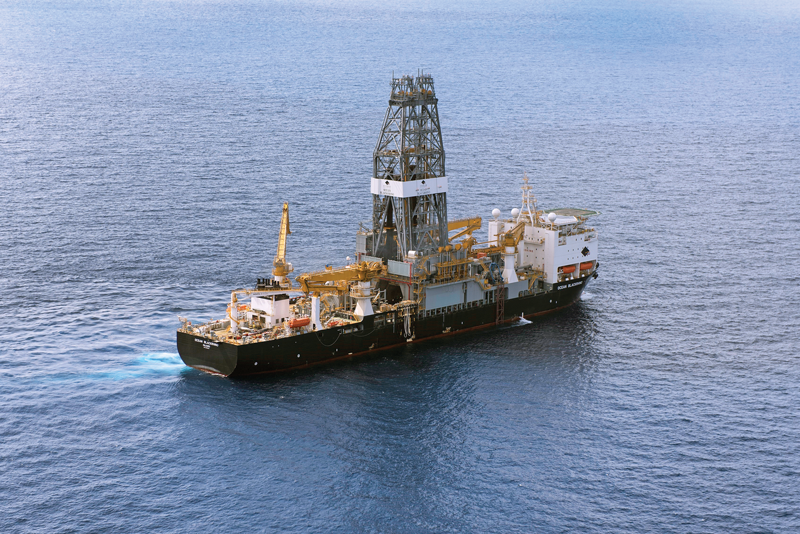 Diamond Offshore’s Ocean BlackRhino drillship is working in the US Gulf of Mexico for Hess until 2020. 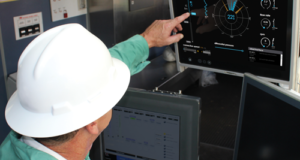 All four of the contractor’s drillships in the US Gulf of Mexico are operating under the Pressure Control by the Hour model announced last year, under which GE Oil and Gas purchased back Diamond’s subsea BOP systems and is now paid to provide pressure-control services. Once upon a time, when the industry talked about the Gulf of Mexico (GOM), it was almost always in reference to the US GOM. The Mexican side was a closed market – not a place for dynamic changes, it seemed. On the other hand, the Lower Tertiary trend was driving fervor on the US side, luring investments from around the world and propelling frequent headlines. Now, the US market – particularly its deepwater sector – is struggling for survival, and it’s the Mexican GOM that’s making waves with energy reforms and a spate of new bidding rounds. The latest bidding round – Round 1.4 – was held on 5 December by Mexico’s Comisión Nacional de Hidrocarburos (CNH). The event auctioned off eight of 10 deepwater oil and gas exploration blocks to a diverse mix of oil and gas companies. These companies ranged from supermajors like ExxonMobil and BP to NOCs like China National Offshore Oil Corp and Statoil to smaller companies like Ophir and Sierra Offshore Exploration. Also during Round 1.4, BHP Billiton beat out BP for the development of the Trion deepwater field. This was Pemex’s first-ever farm-out. 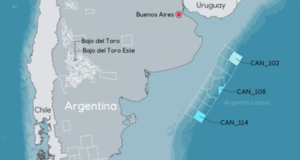 Five of the blocks that were offered for auction, including the Pemex farm-out, are located in the Perdido area near the US maritime border, and six blocks are located in the southern GOM in the Salina Basin, off the coast of Tabasco and Veracruz. From these blocks, nine total exploration-extraction licenses were awarded, with five in the Perdido area and four in the Salina Basin. “The most important factors that we consider contributed to R1.4 results are related to the adjustments done to the characteristics of the blocks and contract terms and conditions,” said Christian Uriel Moya Garcia, CNH Director General de Evaluacion del Potencial Petrolero. First, block acreage was increased. Round 1.1 had offered 4,222 sq km of total area for bidding, compared with 23,835 sq km offered in Round 1.4, not counting the 1,285 sq km in the Pemex farm-out. “We believe that the increase in acreage involved in each bidding process has to be consistent with international practices, to geological current knowledge, information available and degree of risk,” Mr Moya Garcia said. Mexico auctioned off eight of 10 deepwater exploration blocks during Round 1.4 on 5 December 2016. Also during Round 1.4, BHP Billiton beat out BP for the development of the Trion field in the first-ever Pemex farm-out. 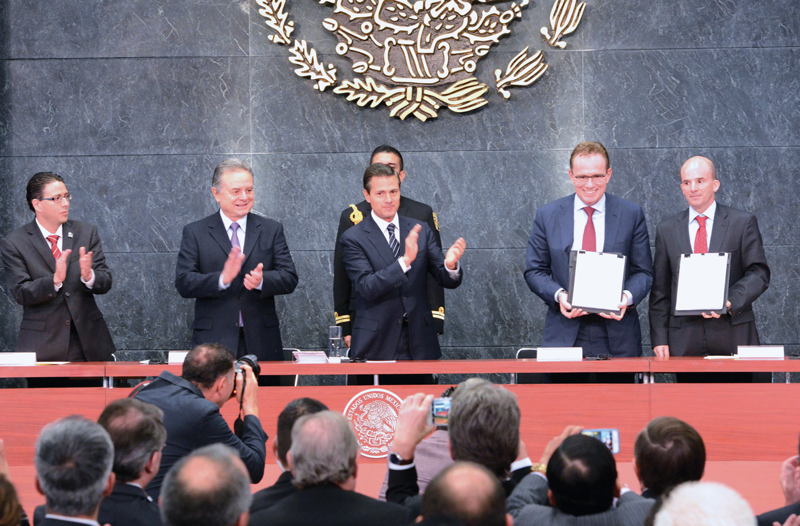 From left are Juan Carlos Zepeda Molina, CNH President; Pedro Joaquín Coldwell, Secretary of Energy; Enrique Peña Nieto, President of Mexico; Andrew MacKenzie, CEO of BHP Billiton; and Jose Antonio González Anaya, CEO of Pemex. Photo courtesy of Comisión Nacional de Hidrocarburos (CNH). Second, Pemex JV opportunities were aligned with the round, which CNH believes maximized the potential for synergies and economies of scale from Pemex assets. 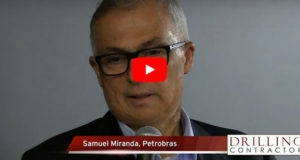 Third, contract conditions were aligned with market realities, he explained, citing adjustments in the relative size of the guarantee, the advance disclosure of minimum price requirements and the adjustments of certain minimum commitments on exploration wells. The minimum work requirements in this bid round gives companies the option to perform exploration activities that would require less investment than drilling wells, such as seismic acquisition and processing, well logs, core sampling and analyses, and other exploration studies that may be needed to understand the full potential of the areas. Fourth, sufficient information and time were given for companies to evaluate the blocks. And finally, CNH had undertaken a comment and feedback process with the industry since the last bid round, which allowed for the previously mentioned improvements. Looking to the future of Mexican E&P, Mr Moya Garcia expressed confidence in the economic attractiveness of Mexico’s resources. “Seismic investment done in Mexico by several companies has been more than $2 billion in the last two years, and this fact is a good indicator of the confidence for long-term investment commitment to the opening up of the oil industry in Mexico. It is also an important driver in reducing uncertainty about oil exploration in the Gulf of Mexico. 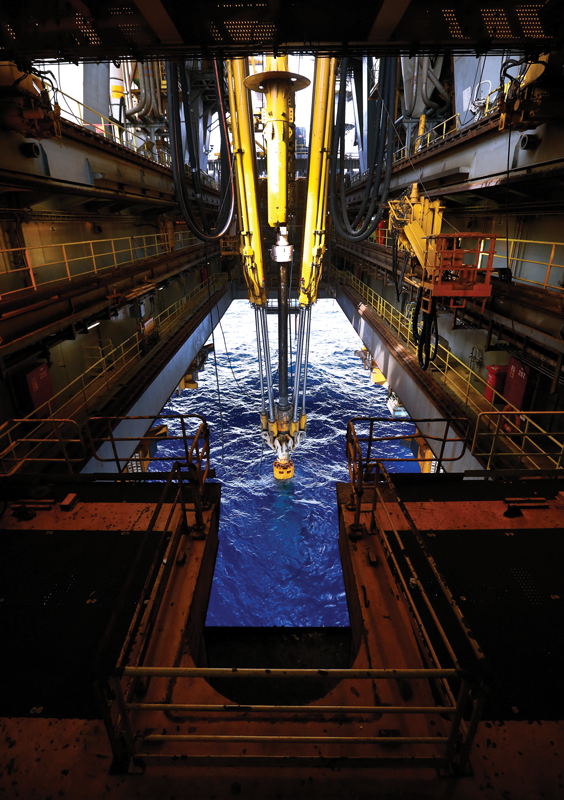 Statoil has gained significant deepwater experience in the US Gulf of Mexico over the past several years. 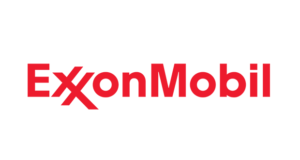 Now, the company is planning to spud its first deepwater well in the Mexican Gulf of Mexico, perhaps in late 2018 or 2019. Statoil won bids for Salina Blocks 1 and 3 during Mexico’s Round 1.4 along with partners BP and Total. 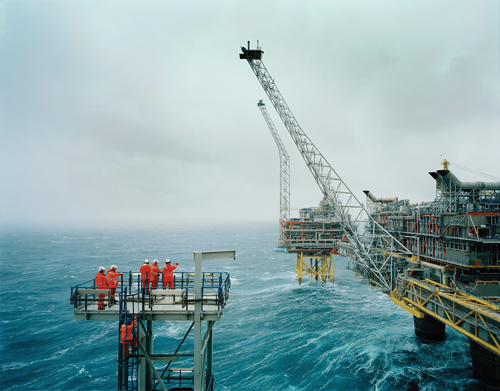 Photo Courtesy of Statoil. For Statoil, which won bids for Salina Blocks 1 and 3 during Round 1.4 along with its partners BP and Total, there are no plans to spud the first deepwater well before late 2018, and likely later than that. Dr Haldorsen noted that it’s too early yet to estimate the number of wells to be drilled on these blocks. “For now, we can just say that we have committed to one well in each block. Interest in drilling can increase as you go forward if you see interesting things, but clearly by punching a hole you would get a lot more information. 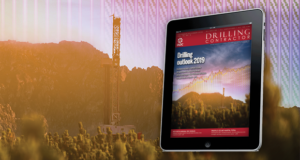 That would then trigger or not trigger your interest in drilling more.” The winners of Mexico’s Round 1.4 blocks have four years – the initial exploration period in the contract – to execute the work program that was submitted with the bid. Although any actual drilling on Blocks 1 and 3 is still a ways off, Dr Haldorsen said there are no doubts that Statoil will be taking lessons learned from its other projects to Mexico. 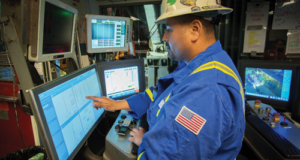 The operator’s companywide efficiency improvement efforts since 2013 have already reduced drilling time per offshore well by approximately 42% and reduced costs by about 35%. “Statoil will certainly bring its efficiency-boosting methodology along to Mexico when the time comes,” he said. He’s also optimistic when it comes to the regulatory framework being developed for Mexico, noting that industry’s relationship with authorities remains very constructive. Statoil’s companywide efficiency improvement efforts since 2013 have already reduced drilling time per offshore well by approximately 42% and reduced costs by about 35%. The company says it will be looking to bring its efficiency-boosting methodology along to Mexico when the time comes. Pictured is Statoil’s Oseberg platform offshore Norway. Photo Courtesy of Statoil. Overall, however, Statoil still sees Mexico as attractive and balanced in terms of the three critical factors of value, volume and risk, Dr Haldorsen said. The company has already been announced as a pre-qualified company to participate in Mexico’s Round 2.1, scheduled for June. “The Mexican energy reform is so far a success story for the administration of President Enrique Peña Nieto, spearheaded by Energy Secretary Pedro Joaquín Coldwell and CNH President Juan Carlos Zepeda Molina, but this is only the beginning,” he said. The contractor recently mobilized the Ocean Scepter jackup to the Mexican GOM to work for Fieldwood Energy. 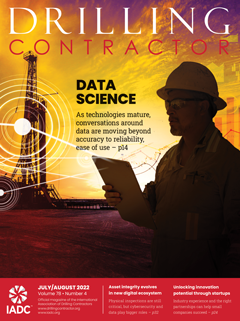 The contract is only for one well, with an option for an additional well, but it may be the potential for additional work in the region that’s the real draw. 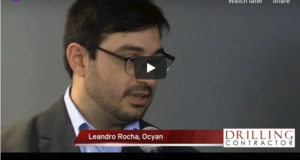 “We believe that with the reforms in Mexico, more IOCs will become interested in working the available leases. We certainly see it as a potential growth area,” Mr Dew said. 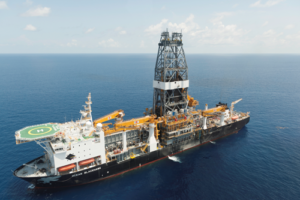 Diamond Offshore’s Ocean BlackHawk drillship is under a five-year contract with Anadarko ending in June 2019 in the US GOM. The contractor also recently mobilized the Ocean Scepter jackup to work for Fieldwood Energy in the Mexican GOM. Back in the US Gulf, Diamond currently has four drillships working. 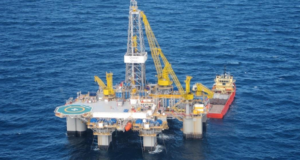 The Ocean BlackHawk and Ocean BlackHornet are under five-year contracts with Anadarko that end in June 2019 and April 2020, respectively. The Ocean BlackRhino and Ocean BlackLion are working for Hess until February 2020 under three- and four-year contracts, respectively. 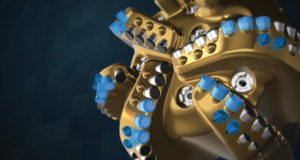 All four rigs are now operating under the Pressure Control by the Hour model announced last year, under which GE Oil and Gas has purchased back the subsea BOP systems and is now paid by Diamond to provide pressure-control services. “We have a structure in place, and the conversation is now around improving the product on the front end rather than supplying spare parts. There’s real motivation from the service provider to improve the product,” Mr Dew said. “We don’t see this as a short-term fix,” he continued. “This is a journey that we’re just starting on, and we’re confident that it will deliver the results that we’re looking for in the medium to longer term.” Currently, each of the four drillships is equipped with two BOPs to reduce the between-well maintenance and certification time. 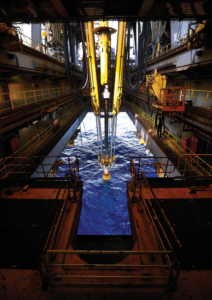 Another strategy that Diamond is taking to improve the economic viability of deepwater projects is its Floating Factory concept. “The one area where we can make sustainable changes is efficiency, and our best answer to efficiency gains, is the Floating Factory,” Mr Dew said. This concept was the subject of a technical presentation at the 2017 SPE/IADC Drilling Conference, held 14-16 March in The Hague, The Netherlands. James Hebert, Director of Operations and Technical Support for Diamond Offshore, explained in this presentation that the new rig design features a Huisman drill tower, a dual mud pit system and 50% more dedicated deck space than typical sixth-generation drillships. “We all agree that we need to reduce well delivery times and improve the economics to try to drive the costs of offshore development. We’re trying to take a step back from how we previously looked at rig designs and trying to see what we can do to improve,” Mr Hebert said. 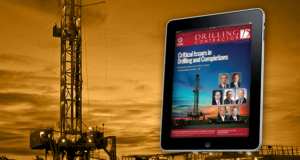 For example, Diamond approached the design process by looking at the drilling rig as a development tool. “For ultra-deepwater projects, you’re going to have to do completions and interventions, so you need to look at the entire well life cycle. That includes changing from one operational phase to the next,” Mr Hebert said. With this new design, the contractor aims to take as much of the transition between phases as possible off the critical path. The company also approached the design by relying on lean manufacturing principles. “We always look at what we, as contractors, can do to reduce flat time,” Mr Hebert said. To develop the base design concept for the new rig, the company followed the Timwood model, which focuses on eliminating waste associated with transportation, inventory, movement, waiting, overproduction, over-processing and defects. 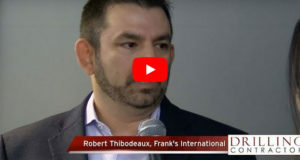 After developing the base design concept, the contractor then spent the first half of 2016 meeting with more than a dozen operators during what Mr Hebert referred to as a “voice of customer” process. “We got their input and thoughts on where they saw inefficiencies and what waste should we try and address,” he said. The contractor also sought input from service companies on ways to make the drilling process more efficient. The finalized concept is based on the Huisman 12000 design and includes a drill tower that enables tripping in unrestricted mode at 5,000 ft/hr in areas where there’s no surge and swab risk, such as open water. Although this tripping speed won’t always be possible, the tower also allows for 180-ft stands of pipe, compared with the more traditional 135-ft stands. This saves two connections per 1,000 ft of pipe, which translates to approximately six minutes saved per 1,000 ft of pipe. 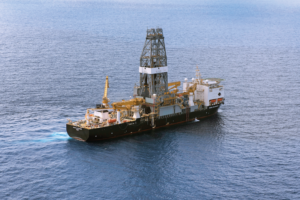 Along with increasing the deck size, Diamond also incorporated increased storage space into the drillship design. 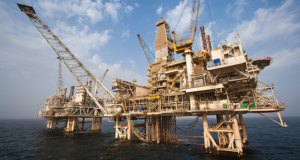 This change allows the contractor to keep more materials onboard the rig, reducing time and costs associated with loading and unloading supplies. Like the increased storage space, the dual mud pit system reduces the time spent loading and unloading materials. It also saves time by eliminating the need to switch from one type of drilling fluid to another. The dual system consists of two separate flow lines and two shaker pits and individual charging, mud-mixing and transfer systems. One pit would be used for water-based muds, while the other would be used for synthetic-based muds. In addition, the contractor could choose to keep both drilling and completion fluids on the rig. 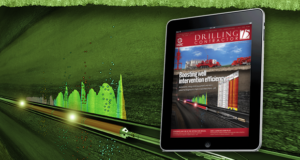 While a lack of new drilling opportunities combined with a considerable rig oversupply make this a difficult environment for ordering any newbuilds, Mr Dew said he’s confident that, if ordered, the Floating Factory can carve out a position in the market due to its potential for driving significant efficiency gains. Pressure Control by the Hour is a registered trademark and Floating Factory is a trademark of Diamond Offshore Drilling. DC Associate Editor Kelli Ainsworth and DC Editorial Coordinator Alex Endress contributed to this article.